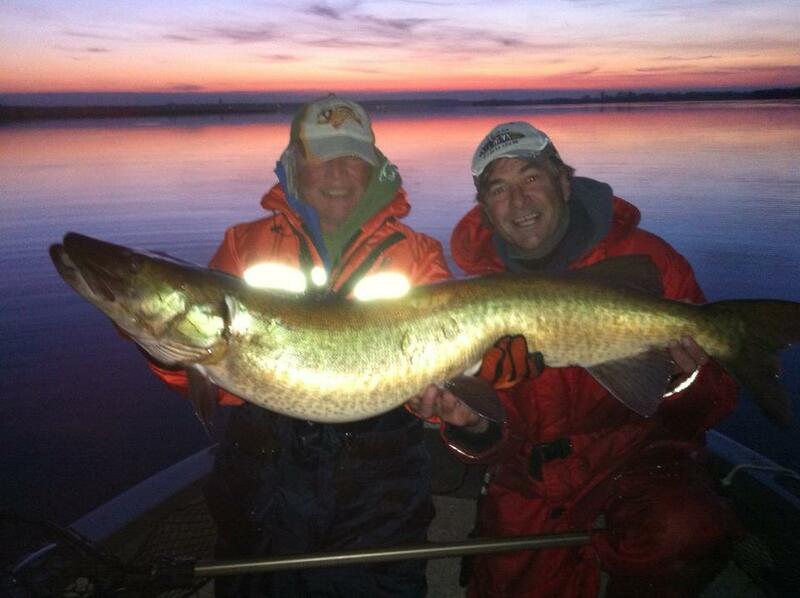 How cool would it be to catch a giant musky on the very last cast of the season? Serious fish addict, writer, and G Loomis/Shimano Pro Staffer Wally Robins did just that! This week has been exceptionally beautiful out on the Ottawa River. The winds of fall have given way to crisp blue skies filled with noisy geese and sunsets that go on for an hour with increasingly vibrant colours that cannot be found anywhere else. Although days like this are gorgeous to the eye they often prove to be tough and challenging conditions for musky anglers. My season is winding down here at the Ottawa River Musky Factory and if you are reading this I would like to say thank you for your interest. I hope we provided some pics and stories that made you say at least a few ‘wows’ from time to time. In 10 days I will head to Vancouver for the winter as usual but in the meantime I still have plans for a few more special muskies over the next week and I still have 3 DAYS OPEN AND AVAILABILITY FOR NOVEMBER 24 AND 25. Come get your pig before the 2012 season is over. There is a good chance that the biggest or one of the biggest muskies of the year is yet to come in the boat and have her picture taken. Like us on Facebook but you will really like it if you come fish with me – I would love to be your netman!